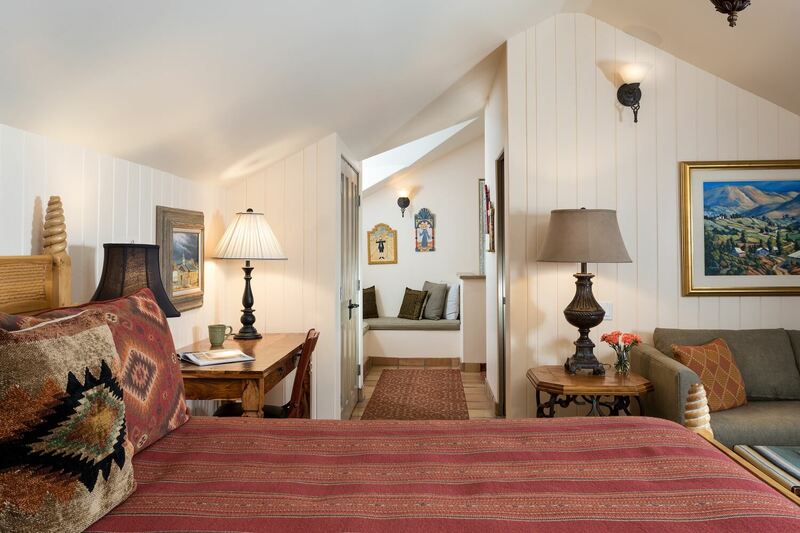 The Chimayo room’s Spanish Colonial décor is a guest favorite.The beautifully appointed Chimayo room, located on the second floor of our Santa Fe bed and breakfast inn, is our most spacious. 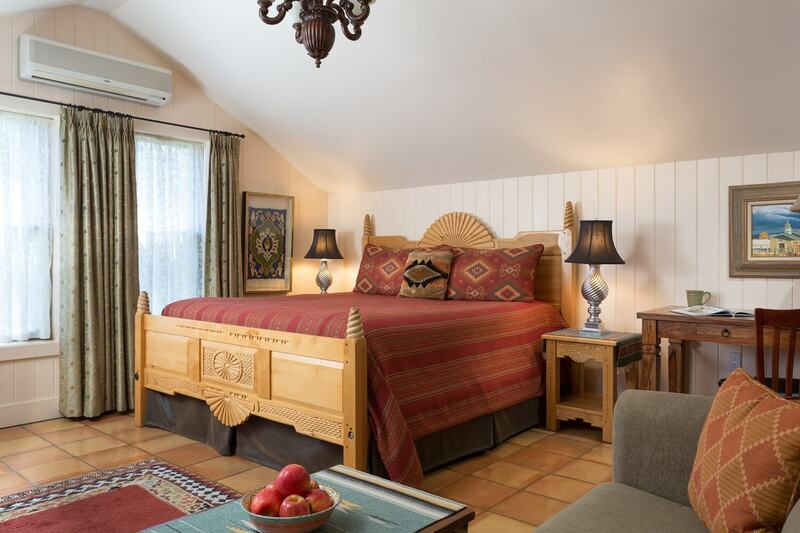 Adorned with Spanish Colonial art and furniture, this room features a king bed, full-size sleeper sofa, desk, and two window seats. 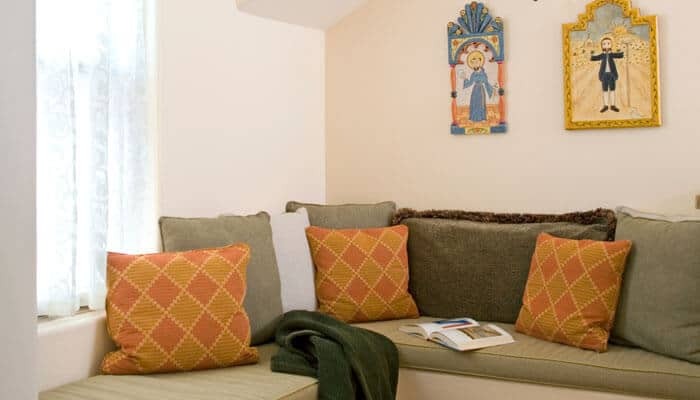 Ample windows, soft colors, and rich textiles create a warm and inviting haven, which makes it a favorite among our guests. 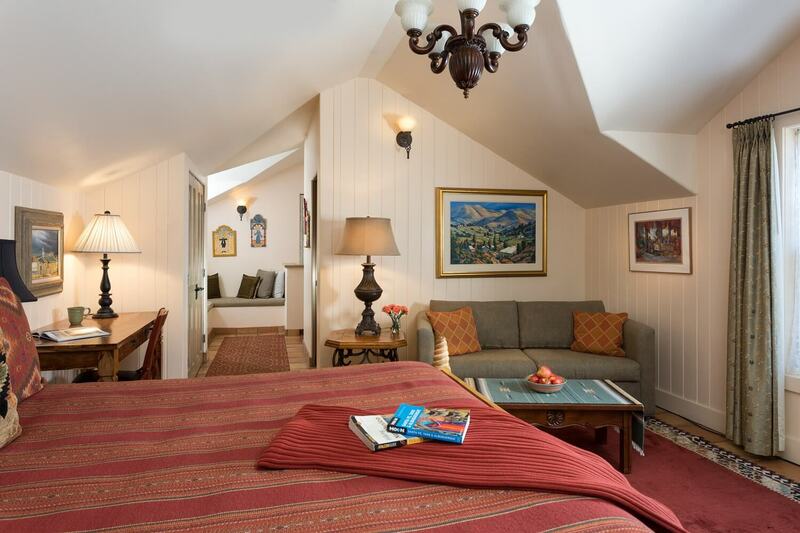 Access to the Chimayo room is via its own stairway from a private entrance in the central courtyard.